Home » News » Will Tomb of Machpela Finally be Wheelchair Accessible? Will Tomb of Machpela Finally be Wheelchair Accessible? Members of Knesset call for disabled access at Cave of the Patriarchs. Following a public outcry, the Knesset has scheduled a session on the issue of providing wheelchair accessibility to the Tomb of Machpela in Hebron. Considered one of the oldest still-standing buildings being used for the same purpose for which it was constructed, the structure has only steep staircases for entrances. Built approximately 2,000 years ago by King Herod the Great on top of the underground burial tombs, the Machpela complex has a separate Muslim and Jewish entrances, both via stairs. Minister of Social Equality Gila Gamliel has written a letter to Prime Minister Benjamin Netanyahu and Defense Minister Avigdor Lieberman asking for approval for the construction of an elevator. "This is a civil issue," she stated, "the elevator can serve both Jewish and Muslim disabled people. On the 51th anniversary of the liberation of Judea and Samaria, the time has come to build an elevator at the entrance to the Cave of the Patriarchs." Gamliel added she has already earmarked the funds in coordination with other government authorities. The planning stages have already received archaeological and engineering permits to allow access to the prayer halls without making any far-reaching changes in the ancient structure. For 700 years, starting with the Mamlukes, the holy site was restricted to Muslims only. The restrictions ended with the liberation of Hebron during the Six Day War of 1967. Today, there are over 700,000 visitors every year, with 40,000 visiting during the recent Succot holiday. Member of Knesset Robert Tiviaev of the Zionist Union party also appealed to the Defense Minister, who has the power to approve zoning permits in Judea and Samaria. MK Tiviaev noted his office has received many requests from elderly people with disabilities who can not visit the Cave of the Matriarchs and Patriarchs. "There is no doubt that the Tomb of the Patriarchs needs an elevator more urgently than the Western Wall because of the lack of access to the site," he stated. "Both the Western Wall and the Cave of the Patriarchs must be accessible to all." Construction of an elevator near the Western Wall in Jerusalem is currently in progress. complex. When the metal detectors and a security area in front of the Jewish side of the complex were upgraded after decades, the PA complained and used it as an issue in their bid to the United Nations to declare the complex a "world heritage site in danger." Portions of the Jewish sections are not completely covered by roofing, which means heavy rainfall can cause flooding. Requests for an upgrade have been rejected. However Israel and the PA do work together during holidays such as Ramadan. Security and medical personnel from both entities work with each other to ensure safety to Muslim visitors. On Jewish holidays, the Islamic authorities change the removable Arabic signs as the Jewish workers replace them with Hebrew ones for the day. However while coexistance does exist, many PA officials have made it clear they prefer the site revert to the Mamluke and Ottoman days. In the past, those with wheelchairs could request a portable Stair Climber device which was donated in memory of Bradley Jacobs. But the device cannot be used on Shabbat or holidays and must be requested in advance. In July of 2018, when Rabbi Eliyahu Bakshi-Doron, former Sephardic Chief rabbi of Israel visited the site, the wheelchair-bound Torah sage needed students and local police to carry him up the steps. In March, Moti Ohayon, a wheelchair-bound resident of neighboring Kiryat Arba participated in a Channel 20 documentary on wheelchair accessibility of holy sites. While outside the Tomb of Machpela, as the cameras were rolling, Moti's wheelchair accidentally fell, thus unintentionally highlighting the seriousness of the problem. Several months later, Moti, fully recovered from the fall, was honored with the lighting of the Lag BaOmer bonfire at the site. Unfortunately over the Succot holiday Moti passed away due to complications from his ongoing medical problems. 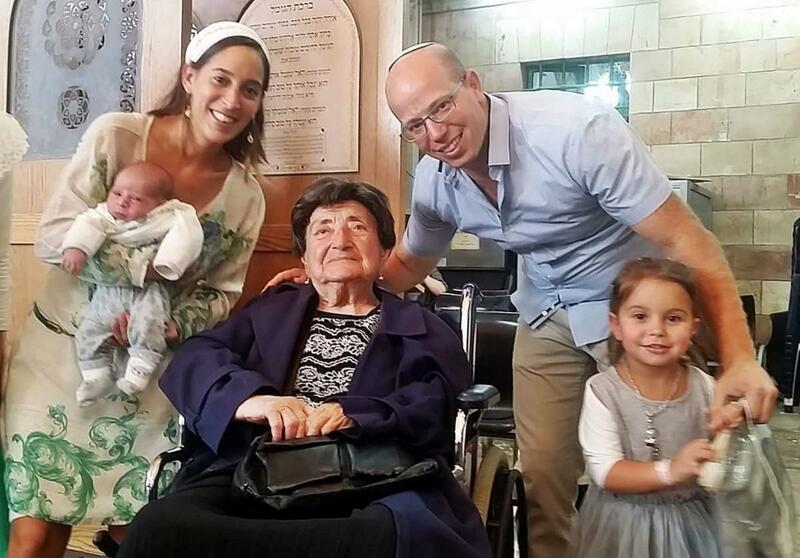 The Jewish community of Hebron and Kiryat Arba mourn his loss. אחת ההתמודדויות המתסכלות ביותר במערת המכפלה הינה קרוב ל100 המדרגות המובילות אליה. עבור אנשים שכוחם במותניהם מדובר בעניין שבשגרה, במטרד סביר לכל היותר. אך כאשר מדובר בנכה, בקשיש או במוגבל תנועה, העניין כבר נעשה אתגר כמעט בלתי אפשרי. לפעמים זה נגמר בפציעה של ממש, כמו שקרה במהלך צילום הסירטון של כאן. לאבסורד הזה חייבים לשים סוף. מנגישים את מערת המכפלה עכשיו. צפו ושתפו. * Will the Tomb of the Patriarchs be Accessible to the handicapped?